Cobra Golf has released its new Limited Edition ZL Driver, an all-white model loaded with the company's latest technology and an upgraded premium shaft. Only 500 of the Limited Edition ZL Drivers are available globally, and each is individually marked with a production serial number. The Limited Edition ZL Driver utilizes advanced multi-material construction and Adjustable Flight Technology and is paired with a high performance Fujikura Motore Speeder shaft. "The Limited Edition ZL Driver is a distinct offering for our loyal customers," said Brian Zender, Senior Vice President and General Manager of Cobra-Puma Golf. 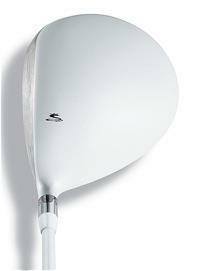 "The ZL Driver is regarded as one of the highest performing drivers in the market. The Limited Edition ZL demonstrates the unique attitude of the Cobra brand, and our focus on superior performance and innovative design." The new driver made its Tour debut this week, as Cobra Golf staffer Ian Poulter - who plays the ZL Driver on the PGA Tour - teed up the all-white ZL Driver at the World Golf Championships-HSBC Champions event in Shanghai. The Cobra Limited Edition ZL Driver (MSRP $625) is available in lofts of 9.5º and 10.5º, in men's right-handed with Fujikura Motore Speeder VC 6.0 stiff flex shaft. It will be available at retail Dec. 15, but can be pre-ordered through participating retailers starting Nov. 15. Cobra Golf announces the introduction of the new Baffler Rail Hybrid, an alternative to long irons offering avid golfers more forgiveness and versatility. 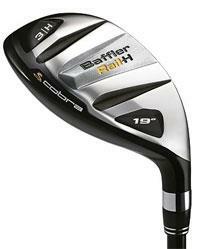 The new Cobra Baffler Rail is a sleek-looking hybrid club that is loaded with technology. Its 17-4 steel clubhead features a thin, high strength 465 maraging steel face that is designed to increase ball speed, and combined with stronger lofts, will bolster distance. The new four-way rail sole is designed to help the club move through turf effortlessly - regardless of the lie. It also comes standard with a lightweight 65-gram Fujikura Motore shaft that is designed to help increase clubhead speed. The Baffler Rail Hybrid is ideal for all players seeking the ultimate in long-game performance. * A four-way rail sole reduces the area of the club that comes in contact with the turf. The result is improved turf interaction, increased versatility and maximum forgiveness. * 9 Point Face Technology creates an expanded sweet zone that promotes higher and more consistent ball speed across the clubface, for increased distance and improved forgiveness. * A thin, lightweight maraging steel clubface also promotes faster ball speed and allows for 10 percent of the weight to be strategically repositioned low and back, for improved launch characteristics. The Cobra Baffler Rail Hybrid ($175) is available in 2/H, 3/H, 4/H, 5/H and 6/H models (nomenclature refers to iron models that Baffler Rail Hybrid replaces). It is available with a Fujikura Motore graphite shaft (Lite, R or S flex) and a Lamkin grip. A women's model is available in 3/H, 4/H, 5/H, 6/H and 7/H. The Baffler Rail Hybrid is shipping to golf retailers now. Spy pic of Prototype Cobra CB's in JB Holmes' golf bag at the Canadian Open. The new Cobra S-9 pro-s will come in a deep face and a standard(shown below) face. It has a changeable weight port on the sole of the club. The new standard version is a bit deeper than last years pro-s head and sits slightly open at address. These drivers will come with the matrix ozik x-con shaft and have true lofts. They also use the new black finish that is becoming increasingly popular amongst high end golf club manufacturers. We have grown to like this look and hope to see it used more often. It seems to show less dirt and scratches, and looks great. Their expected release date is sometime around February 2009. Cobra Golf has experienced a rich and at times, famous past. Founded by an amateur Australian golfer in 1973, the company began producing one of the most utilized and complex utility clubs of its day. By the late 1970’s and early 1980’s, Cobra began pioneering graphite technology and experimenting with composite metals for its drivers, irons, and putters. In 1991, the Cobra Golf Company and its famed Cobra Golf Irons saw a boost in popularity and performance when legendary golfer, Greg Norman, began endorsing the line of products. By 1992, the King Cobra oversized iron collection became the leading line of irons in he world and the company never looked back. Today, Cobra’s popularity may have settled, but the company’s past is as much the present and future as can be: remodeling and redesigning lines that made the company successful in the 1990’s have given new life to the Cobra name. Some of the current Cobra Golf Iron lines include Cobra S3 Max, Cobra S3 Iron-Hybrids, and Cobra S2 Forged. In the Cobra S2 Forged line, golfers are treated to superior control, carbon steel milled grooves, and a cavity optimized for the ideal, center-out weighting. The cost of purchasing this particular set is about $600 USD, but is well worth the investment for it will radically change one’s game for the better. Hybrid models are becoming increasingly popular among amateur and even professional players because of the forgiveness and improvement to a shot that is provided with a hybrid club. In the game of hybrid irons, Cobra may be lesser known, which may be to the fault of buyers themselves. Cobra manufactures several lines that are mixed iron-hybrids and can compete directly with the more famous brands and in some cases outperform them: a reference to one Cobra S3 Max Iron-Hybrid 7 iron versus a Adams IDEA a7. Of course results may very and may not be able to be reproduced, but it only takes one great shot to go from a potential par to the beloved birdie. Ranging in material, style, shape, and function, what seems to be the only constant across Cobra lines is that each club maintains the signature gold and black color scheme that sets Cobra apart from the other name brands of golf clubs. Another unique quality to Cobra Golf Irons is that both male and female styles are very similar in performance and upon inspection of the Cobra website, each model has an opposite gender counterpart. What this means for players is that no one gender has the advantage over the other and that the quality of the clubs are universally controlled at the manufacturing plant.